Your horse may not be sick but that does not mean he is healthy. Horses are prey animals so to survive they have to appear good so they are not targeted by predators. Most horses will continue to eat, drink, graze and work even when they don’t feel their best. 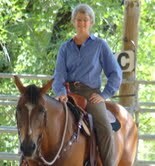 You must look critically at a horse to get more information because true holistic health is an inside job. How can you know that your horse is healthy on the inside? Your horse may be a good weight, have a shiny hair coat, clean up his dinner every day and seem to enjoy his work but is he as healthy as he can be? Health is more than the absence of symptoms. You want to know if the inside of your horse is working as well as the outside. In other words, are his internal organs functioning at their best? Are his lungs clear and able to move oxygen? Is his heart generating good circulation? Is his liver able to process toxins and are his kidneys moving waste and toxins out of the body in an efficient way? Lab tests generally tell you if your horse’s internal organs are damaged but they don’t pick up subtle changes that indicate they are not functioning the way they should. What you need is a list of signs that tell you your horse is at 100% holistic health. If your horse can pass this holistic health list then chances are he is as healthy inside as he looks from the outside. If your horse missed in some areas then you have a chance to build his inside health. Starting with good digestion is one of the best ways to build true holistic health. Feed the best quality, low carbohydrate feed you can and supplement with probiotics plus blue green algae. Good bacteria in the gut support the immune system and detox organs such as the liver and kidneys. Blue green algae provides nutrient dense whole food nutrition to all the organs. Regular exercise will support the cardiovascular system. Clean, fresh air keeps the lungs healthy. Don’t forget to keep your horse happy. Typing your horse so you can personalize his feeding and management plan will help him emotionally. When your horse is facing environmental or training stress give him balancing formulas that are packed with the nutrients his type needs. Holistic health is an inside job that will show up on the outside of the horse when you look closely. This entry was posted in General Horse Care, Horse Health Care, Newsletters and tagged feeding horses, holistic horse care, holistic horse health, horse, horses on May 1, 2016 by Madalyn Ward, DVM.